It seems that just when we wrap our heads around one new innovation, another one pops up. Between the continuing development of electric and autonomous vehicles, the rise of ridesharing, and the emergence of Carvana and other online car sellers, it’s easy to think the auto industry of 2019 will look nothing like that of 2017, with all of the changes poised to take place this year. In the past few months, another supposed disruptor has been emerging, in the form of car subscriptions. A few manufacturers have rolled out pilot programs. Ford, Cadillac, Porsche, Lincoln, and, most recently, Volvo have either announced or actually begun implementing subscription programs. Under this type of framework, a customer pays a monthly fee for access to a vehicle. The fee includes all costs, including insurance, service, and maintenance. In many cases, the vehicle is even delivered to the person’s home. Think about it this way: A person can “own” an SUV for two months in the winter, and a sports car for their summer getaway, all without having to worry about the typical woes that come with leasing or owning a car. Instead of needing to rely on companies like Uber and Zipcar, customers can access a vehicle quickly, for one flat fee and without a long-term commitment. Some dealerships are now working with manufacturers to offer these types of programs. In many cases, the cost of a monthly subscription is either the same or more than a typical lease. For this reason, these dealerships have found it worthwhile to offer this type of program to entice buyers who are not ready to actually purchase a vehicle. Should we change how we do business because of this? If so, how? This is the million dollar (or possibly multimillion dollar) question that dealerships ask when discussing a new disruption to the industry. In the case of Carvana, dealerships are recognizing the importance of simplifying the car-buying process to give customers a seamless and user-friendly experience, both online and in-store. The same discussions should be had about subscriptions. The first option a dealership has is to jump on the bandwagon and offer subscriptions. For example, Ford views its dealers as partners in Canvas, its flagship subscription program. Although the details remain to be seen, this partnership might entail local dealers servicing Canvas vehicles, selling subscriptions, or carrying out sales. As it stands, it seems that if a dealer wants to be involved in a subscription program, there are options. Dealers might be hesitant to change their business plans and the way they run their stores to accommodate subscriptions. They’d like to wait to see how the programs perform before developing their own. These dealerships can still learn from subscriptions by thinking about why customers would choose to rent a car this way, then make changes to their own processes that speak to the pain points and problems subscriptions address. Because the price comes out to roughly the same as a lease, customers aren’t embracing subscriptions to save money. The biggest draw of this type of agreement is in how easy it is: They can order a vehicle directly to their home, with easily understood terms, and change their mind at any time. Your dealership can speak to this inclination by making the buying process as simple, seamless, and personalized as possible. For example, consider offering a shuttle service to and from your dealership when someone comes in for a test drive or service appointment, or deliver their vehicle to them. Use a mobile app to streamline the buying process, allowing shoppers to upload documents and book appointments from their mobile devices. This ease and simplicity will speak directly to customers who haven’t yet decided to forgo traditional car ownership. One of the other things customers appreciate about a subscription-style program is not having to worry about servicing their vehicle: If something goes wrong, they can simply swap it for a new one at no additional cost. Knowing this gives shoppers peace of mind and a sense of comfort. You can try to instill that same feeling by optimizing and promoting your service department. Make sure your buyers know how their vehicles will be serviced before they make the purchase, and consider giving them a discount on future service appointments. Give them the sense their relationship with you will continue even after the sale, and that you’ll be there for them if they need anything else. 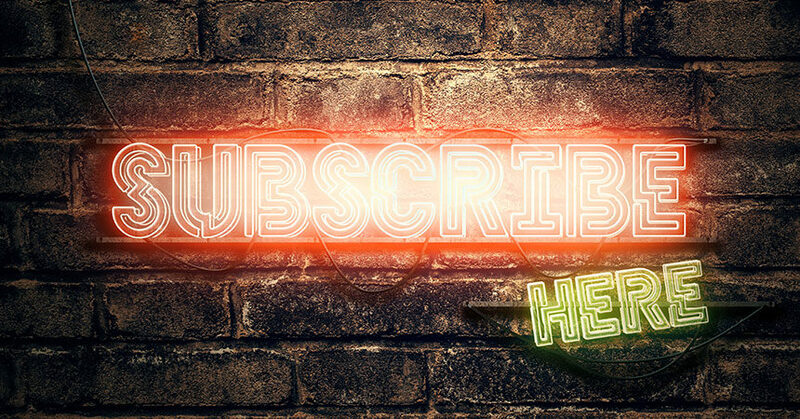 The biggest pain point that subscriptions solve for many shoppers, especially younger ones, is the problem of putting down a huge amount of money on one purchase. Being able to pay on a monthly basis—with no long-term commitment—feels safe and comfortable to today’s shoppers. Even if your dealership cannot offer these exact terms to customers, you can simplify the payment, finance, and insurance processes. Ensure that your shoppers understand everything they’re told, and present it in an understandable, user-friendly way. Make them feel empowered in their decisions, not stressed and forced. As new disruptions are unveiled, dealers will continue to wonder how they will affect their future—and the future of the auto industry. The key to surviving and thriving in this changing climate is to always think about why changes are taking place. Consider what people want, and how the disruptor is providing a solution they couldn’t get somewhere else. Then, think about how your processes can solve that same problem. Be proactive and develop new processes to continue to drive shoppers into your store. Lynda Gallagher is a passionate sales leader, having spent over 20 years in sales, e-commerce, and product development. As regional sales director at AutoLeadStar, Lynda is leading her team to develop strategic relationships with automotive dealers to maximize their revenue and ROI on the investments they make in the digital space. She contributes sales leadership for tech and e-commerce companies in and out of the automotive industry.